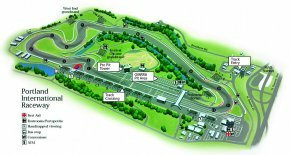 The Oregon Motorcycle Road Racing Association offers an abbreviated Track Day every race weekend. Come experience PIR at full speed, on a Saturday! Use the same pit area as the racers. There’s no way to be closer to the motorcycle action. When: Saturdays on OMRRA race weekends, rain or shine. Applicants must have run in A or B group at a PIR track day in the past two years, or an A group track day elsewhere in that timeframe. This is not an entry-level track day. No instruction is offered. Motorcycles must be at or above the following capacities: 650cc twins, 600cc triples and fours. Year 2000 or newer, of sport bike or “standard” style. Not allowed: Ninja 250/300, 125 GP, KTM 390, motards, vintage, cruisers, touring bikes. Valid drivers license required (minimum age 18), personal health insurance required. 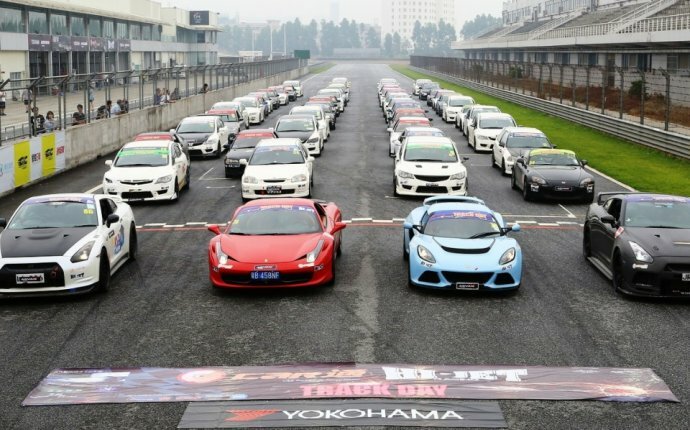 Race License holders (OMRRA, WMRRA, AFM, etc) are not allowed to register for an OMRRA Track Day and OMRRA Racing on the same weekend, but must choose one or the other. This is not race practice. Bring your motorcycle to the “inside” Pro Pit area, and set up in an open spot. Gates open 7:00 AM. Check in with Registration, 2nd floor of the Pro Pit tower, by 8:00 AM. Have your motorcycle and riding gear inspected by 8:30 AM. Attend the (mandatory) 8:30 AM riders meeting. Ride two morning and two afternoon on-track sessions. Exact times in the daily schedule. Watch the races all afternoon! Tires over 75% tread depth, in excellent condition. Brake pads over 50% remaining. Chain and sprockets in good condition and well lubricated. Throttle return must function without restriction. Brake and clutch levers must function smoothly and return properly. Bodywork and exhaust must be attached securely. Motorcycle must be clean, and assembled in a workmanlike manner, with no loose bolts, no sharp lever or foot peg ends, and absolutely no leaks, drips or weeping gaskets. Dirty motorcycles will be turned away. Headlight, turn signals, mirrors, reflectors, and taillights must be taped. License plate must be removed. Camera mounting must be secure. Highly recommended: safety wire oil drain plug and filter, radiator cap and coolant drain plug, brake caliper bolts, exhaust attachment bolts. Highly recommended: Water Wetter or distilled water in the radiator, NOT glycol coolant. Snell 2010 or ECE 2205 helmet required, no scratches or other damage. Must be full face, no flip ups. NO helmet cameras. Full leathers with elbow, knee and shoulder padding, over the ankle motorcycle boots, gauntlet style leather gloves with wrist closure, and back protector required. Zip together suits allowed, but must be 270° “full zip” style. No textile suits. No duct tape. No failed seams. Following a crash, the tech sticker will be removed from your helmet and motorcycle. Both must be re-inspected and meet all OMRRA tech requirements before being allowed back on track. Riders who crash must have ASIT (OMRRA Safety Team) approval to continue riding. Crashed bikes will be picked up per normal OMRRA crash truck practices. Allowed inside and outside, all turns. Follow the “6-foot rule” of friendly, safe passing. Don’t get closer to other riders than a full arm wingspan, and don’t “show up” at the apex or pass after the rider in front has initiated turn-in. You are riding a track day, not a race. Whether a rider is up to the pace/skill required for an OMRRA track day is at the discretion of the OMRRA Race Director. Dangerous riding will result in immediate and permanent loss of riding privileges at OMRRA track days, with no refund, at the discretion of the OMRRA Race Director. Leaking coolant or oil on the track surface may result in up to a $250 fine, at the discretion of the OMRRA Referee. No refund or transfer within 1 week of the event. Credit card declines not resolved by noon Friday will result in registration cancellation. Day of registration is on the 2nd floor of the Pro Pit Tower, first come first served. Track Day riders pick up registration paperwork in the 2nd floor of the Tower the day of the event by showing a valid drivers license. @Ruidoso Press Box: Come on out! They're racing at Belmont with all G1 stakes Pick 4 coming up. $800K Ruidoso Derby on track. GREAT day of racing action!! !